The crows saw it all. Who died, who did it, where it happened… even how it was done. Your job is to use the cards in your hand to piece together the facts and reveal the dastardly deed… spell MURDER and you’ve won! But beware, your opponents’ goal is the same; steal their cards, counter their actions, or throw their investigation into disarray with a Wild Crow before they do it to you! At any moment a well-played card can shift the balance and seal someone's fate. 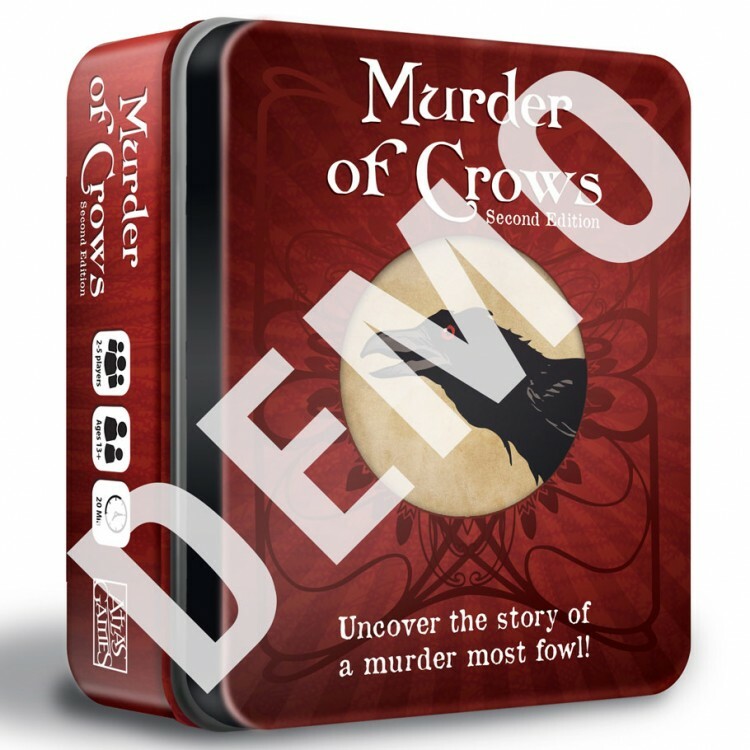 Murder of Crows is a fast-paced card game for 2-5 players. Easy-to-learn, the typical game lasts 15-20 minutes and is suitable for everyone 13 and up. The 2nd Edition of Murder of Crows is an aesthetic upgrade to the original game. The cards are now tarot-sized, and Dungeoneer-creator Thomas Denmark’s atmospheric art has been given more space to shine. The packaging has been upgraded from a tuck box to a beautiful aluminum tin, as seen with Hounded and Lost in R’lyeh. Some reference cards and a two-player variant have also been added, but none of the rules have changed!